My parents bought me a Kindle for Christmas. I've been wanting one for some time, but the price was never right and the first two versions had UI flaws. I suppose I've learned to restrain my inner geek from spending spontaneously on gadgets. There are benefits to waiting though - prices fall, the product improves, and ancillary services are created. For example, 2 years ago a Kindle app wasn't available for iPhone or Android devices (actually there wasn't even an Android market two years ago). 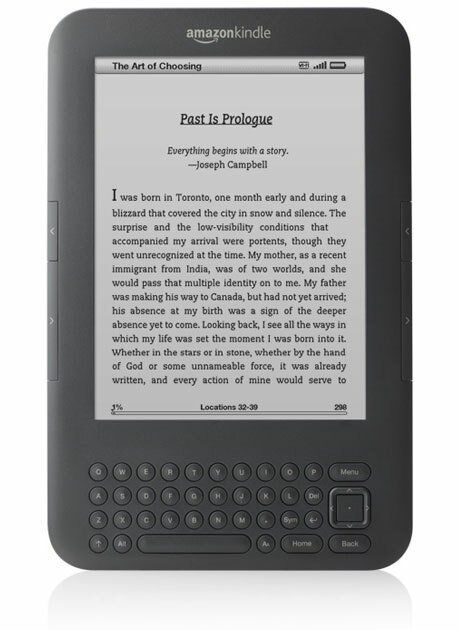 Now almost every computing platform, including mobile devices, has a Kindle app available for it. And this is what people don't understand, you don't need a Kindle to buy Kindle books. It's also why the Kindle vs. ? debates are silly - the Kindle is not about the device, it's about the distribution network. Anyway, I love the thing. The progress bar is genius. I feel like my 'score' is going up every time I turn a page. Hrm... that makes me think of another idea. P.S. You can even download some Kindle books for free ! Download the app and start reading!